Will China's biggest automaker SAIC's entry shift gears for GM and other major auto players in India? For long, General Motors (GM) - the world's second-largest carmaker - struggled in India. After over 15 years of India operations, its sales remained lacklustre, crossing the 1-lakh unit mark just last year. Suddenly, its Indian drive has got a new zing. "We will capture 10% market share [up from the present 4%] by 2012-13," declares Karl Slym, managing director, GM India. On the back of RS.2,000-crore investment, a hike in capacity to 4,00,000 from 2,25,000 units and six launches, GM India plans to treble its India sales and become a serious contender in the Indian car market. GM's newfound optimism has a China reason. In 2009, when a bankrupt GM was gasping for funds, it brought in its Chinese partner - SAIC Motor Corp - as the 50% joint venture (JV) partner in its Indian subsidiary. The $34-billion SAIC has both aggression and ambition. Coupled with these is its strong pedigree as China's largest automobile conglomerate - it sold 3.6 million cars in 2010. Expectedly, in the last one year, it has pushed its way into GM India, getting three out of six board seats, creating a joint managing director position to install its representative at the top, besides a few other senior officials. SAIC's entry could change the game for GM in India. Its low-cost frugally engineered vehicles are a big success in China. In the first six months of this year, its Wuling minivan, whose variant will later be launched in India, sold 648,000 units in China. It hopes to replicate that success here. But SAIC's entry has broader implications for China Inc's global ambitions. "Chinese auto companies have been looking at overseas market for some time. India is their first big international foray," says Shanghai-based Marvin Zhu, analyst, JD Power Asia. In fact, GM-SAIC may be China Inc's template to explore new emerging markets together. The duo have already registered a 50:50 Hong Kong-based JV - GM SAIC Investment - that will facilitate their expansion. Other Chinese companies, including Geely and Chery in the auto sector, must be watching SAIC's moves from the sidelines. So far, India-China's over $60-billion bilateral trade has been dominated by Chinese imports. "The Chinese are now willing to recognise the trade imbalance and its non-sustainability. This could help kickstart the [Chinese] investment era in India," says Rajiv Kumar, secretary general, Federation of Indian Chambers of Commerce and Industry (Ficci). Meanwhile, SAIC's investment in GM India is already beginning to take effect. Early next year, GM India will launch two light commercial vehicles (LCVs) from the SAIC stable. Under the Chevrolet umbrella, one will take on Maruti's successful Eeco (RS.2.8-3.8 lakh) and Tata Venture (RS.4-5 lakh), a fast-growing segment. Around the same time, it will also launch a one-tonne pickup truck to compete with Tata Ace and Mahindra Maxximo. Their model pick is interesting. India today is an intensely competitive market teeming with almost all major car companies in the world. The GM-SAIC JV is looking at niches where gaps exist. For example, Maruti's Eeco, launched in 2008, is logging 30%-plus growth when the car market is sluggish (June sales growth was at 1.6%). The category is expected to touch 275,000 units in 2012-13. Though categorised as an LCV, its multi-purpose usage - from taxi, school vans and goods carrier for entrepreneurs to a modest car for a large family - makes it an extremely versatile product. GM with its new product line up hopes to have a good play in this segment. Accordingly, GM's Halol plant is being converted into a global hub for LCV manufacturing. But SAIC's portfolio is large in China and GM will have plenty of choice to pick from. At 14 million, China is the world's largest car market. And SAIC is its largest player. Government-owned and listed, it is a state-owned enterprise (SOE), akin to an Indian public sector undertaking. At 3.6 million, it sold more cars last year than all the cars sold in India (2 million-plus) and is the world's eighth largest auto conglomerate. Besides size, it is an interesting group. Over the past two decades, it has stitched multiple JVs with MNCs, a condition mandated by the Chinese government. Two of its biggest JVs are in partnership with GM and Volkswagen , both of which sold 1 million-plus cars in 2010. Typically in these JVs, while the MNC brings in the expertise on research and development (R&D) and brand management, the local partner focuses on local functions like HR and sales. It is on the back of this venture that GM today sells more cars in China than anywhere else in the world. With two decades of experience working closely with global MNC giants, SAIC has learnt many lessons about how to develop, manufacture and sell cars. Besides, SAIC has been building its own arsenal over the years with a series of asset acquisitions from SsangYong Motors to MG Rover and the Chinese Nangjing Motors. It has also acquired a 10% stake in GM Daewoo. Its future plans are big. In the 12th plan (2011-15), it has set an annual sales target of 6 million vehicles, aspires to build a transnational operation, promote its self-owned brands and accelerate its R&D thrust in new energy vehicles. It hopes that its self-owned brands - Roewe and MG - will notch sales of 700,000 by 2015. Expectedly, India will get some flavour of its global ambitions, now that it is here. And SAIC's moves will also inspire a slew of Chinese companies who have looked at India with huge interests but limited success for some time now. From telecom to power equipment, Chinese companies like Huawei, ZTE have been making swift inroads into the Indian market. For Huawei, India is its largest market outside of China with 4,000 employees. Lenovo, the Chinese personal computer (PC) maker, holds 10% market share in PC market in India. But two distinct things stand out when one looks at Chinese companies in India. One, they are largely import-driven - very few have made manufacturing investments in India. In 2009, Chinese investment into India was $221 million which is about 0.1% of the total Chinese foreign direct investment. Unlike the Koreans, the Chinese have not made any heavy investments in India in plants, distribution or sales and marketing infrastructure. In this context, SAIC's investment in GM India will help move the needle from import-dominated Chinese ambitions to an investment-led one. Two, Chinese companies have done well in business-to-business (B2B) segments - think Huawei, ZTE and a large number of power-equipment firms. But they have struggled in the business-to-consumer (B2C) segment. Take Haier, for example. It is the world's second largest appliance maker but is struggling in the Indian market. Consumer electronics companies like Konka shut shop. Two-wheeler companies like Monto Motors announced plans to enter India but never did. "Dynamics in B2B and B2C business are very different. It is rare to see national champions becoming global challengers in B2C business," says Sharad Verma, partner, BCG India, a consultancy. Cautious governments, sensitive political ties and security concerns are partly the reason. In 2006, India refused port terminal contract to a consortium of Chinese companies. But more importantly, Chinese products connote low-price low-quality among Indian consumers. It does not help that Indian consumers are spoilt for choice with the best of global brands available at attractive price points. Partly, the perception issue is true. "Chinese motorcycles look nice, specifications are good. But overall quality is just not up to the mark," says Hormazd Sorabjee, editor, Autocar India. The Chinese aren't alone. This is an issue that all companies and countries in transition have faced. Ask Toyota of the 1970s and Hyundai of the 1990s - Toyota eventually went on to dominate the world's car market and Hyundai is today the fourth largest car company in the world. China Inc might take that path too. But in the interim, they need a brand crutch to gain consumer confidence. SAIC's partnership with GM India does just that - gives the it the badge value that it needs to hook the Indian buyers. This could well be the way to go in 21st century. Steadily in the auto sector, like in any other sector, the centre of gravity for consumption is shifting from the West to the East. Take the automobile industry for example. In the 1980s, Asia and Japan contributed 7% of the global automotive sales. By 2009, it had gone up to 45%. By 2020, it will go up to 65%. This market shift is on the back of two big changes in demand patterns. Future car markets like India and Africa demand low-cost frugally engineered cars that GMs and Fords of the world have limited expertise in. Two, fuel-efficient small cars and alternative energy are the flavour of the season as environment concerns and crude prices weigh heavy on consumers and governments' minds. This is a race that everybody is fairly new and trying to figure out. GM and SAIC JV is an ideal marriage of the 21st century. One is a blue-blooded century-old MNC with a rich past and great depth in the automobile industry. The other is a 20-year-old emerging-market giant with the scale, aggression and ambition to partner it. "This century will require such collaborative partnerships. Very few firms will be able to do everything on its own in deep-pocket businesses like auto," says Beijing-based Bill Russo, a senior adviser with Booz & Co.
Will SAIC's entry shift gears for GM in India? It is not going to be easy with virtually every car major already in India, endowed with lots of patience, deep pockets and serious intent to grow the India business. "It will be difficult, unless they offer dramatic product differentiation," says BCG's Verma. SAIC, with a portfolio of companies and low-cost models suited for emerging markets, should have a lot to offer. Take for example its investments in new-energy vehicle industrial chain. 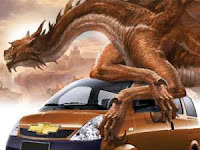 The Chinese government has been incentivising and pushing its automobile companies to invest in development of hybrids. SAIC has recently absorbed Sunrise Power Company - a company focussed on developing new-energy vehicle systems. This will enable SAIC to speed up the launch and adoption of new-energy vehicles. This growing ambition of SAIC in particular and Chinese companies at large must cause some concern among Indian auto firms. In the long run, China Inc has the capacity to turn the market - power and telecom equipment sectors are two examples. In automobile too, over time, Chinese firms will build their R&D and tackle the quality issue. China gives them enough scale to invest in technology. SAIC may not pose imminent threat. But in the long run, it should worry the MNCs.